Here is the final part of the Pawanmuktasana Series1 which concern with the asanas for the neck. These asanas too are very simple and yet efficient as other asanas of the Pawanmuktasana Series are. These asanas release stress and stiffness in the head, neck and shoulder region which gets accumulated during the work hours, especially after prolonged work at the desk. These neck exercises may also be helpful to people suffering from spondylitis but under the guidance of an expert Yoga Teacher. 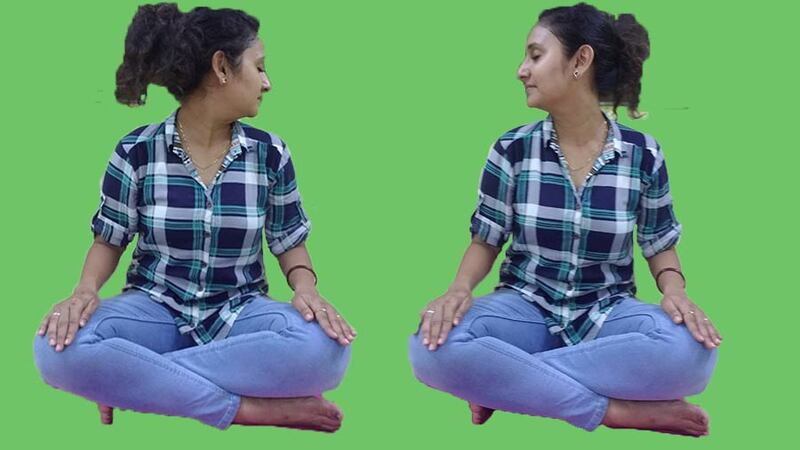 Sit either in Padmasana or cross-legged pose with the hands resting on knees. Close the eyes and relax for some time. 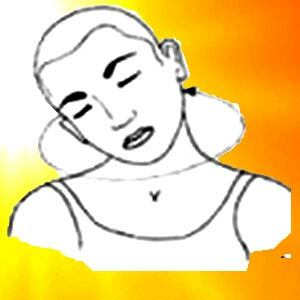 While breathing out, slowly move the head forward and touch the chin to the chest. While breathing in, move the head backward as far as is comfortable. Become aware of the stretch of the muscles in the front and back of the neck. Sit in the same position as above. Inhale first and then while exhaling slowly turn the head to the right so that the chin is in line with the shoulder. Feel the loosening of the neck joint and release of the tension in the neck muscles. While inhaling slowly return to the initial position. While exhaling, turn the head to the left as far as is comfortable but without straining. Gently rotate the head downward, to the right, backward and then to the left side in a, smooth, rhythmic and circular movement. Feel the stretch shifting around the neck at different angles of circular movement and the loosening up of the joints and muscles of the neck. Practice 3 clockwise and 3 anti-clockwise rounds. In case of dizziness open the eyes. After 3 clockwise and 3 anti-clockwise rounds, sit with the neck straight and the eyes closed. Become aware of the sensations that can be felt in the head and neck. People suffering from high blood pressure, low blood pressure and vertigo should avoid the neck movements stated above. People suffering from extreme cervical spondylosis should either avoid the Greeva Sanchalana Asanas or seek an expert advice for the same. The forward bending of the neck should not be done by people suffering from cervical spondylosis. The practice of Greeva Sanchalana releases the tension, stiffness, and heaviness of the neck, head and shoulder region. The practice also strengthens the muscles of the neck and the shoulders. The Greeva Sanchalana asanas are useful for those who work on the desk for long hours. The Pawanmuktasana Series has been developed by Swami Satyananda Saraswati and is one of the most important groups of practices having a profound impact on both the body and mind. It opens up all the major joints and relaxes the muscles of the body. The Pawanmuktasana Series 1 is particularly useful for eliminating energy blockages in the joints of the physical body. one feels light, emotionally fresh and one-pointed by doing these asanas.